On Saturday, the 17th of November, BBQ Spit Rotisseries hosted its first Movember King Of The Wing cooking competition. 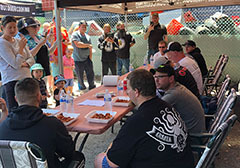 Seven teams battled it out on a beautiful Melbourne day, to see who could cook the most impressive and pleasing wings. 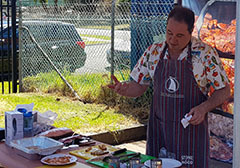 Witness to the event was an energetic crowd of onlookers, who were entertained watching the competitors along with a very special cooking demonstration by none other than Paul Mecurio himself! 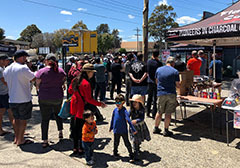 Patrons were well fed, with brisket, pork and gyros style meat on offer all day, with many special deals and discounts keeping the shoppers among them happy. 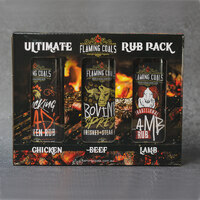 A panel of six judges crowned Happy Grillmore as the very first BBQ Spit Rotisseries King Of The Wing, taking home the trophy along with a $500 store voucher and Kettle Kone. Moist BBQ finished a close second. 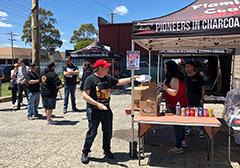 Spit Hot BBQ team took home the People’s Choice award with Wayne Evans from Spit Hot also winning the Hot Wing Eating competition, leaving with $200 in store vouchers and a Kettle Kone! It goes without saying that the event was a huge success, raising over $1400 for Movember! 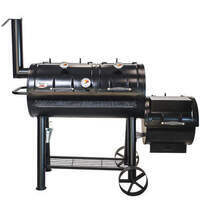 If you would like to stay up to date on all future BBQ Spit Rotisseries, please click here!